A Dress Shirt usually formal is a type of garment made up of woven cloth which comes in different varieties such as cotton, linen, silk, ramie, wool etc. Dress Shirts are usually full length with frontal opening up to the hem, a collar and full sleeves with cuffs closed with buttons and cuff links. Started with the name of formal shirts, now-a-days they are more or less likely to be worn casually. The best thing about Dress Shirts is that they come in many varieties with varying quality. Some of the Dress Shirts come with a stiff front and detachable collars. Some might come with buttons only up to the chest. 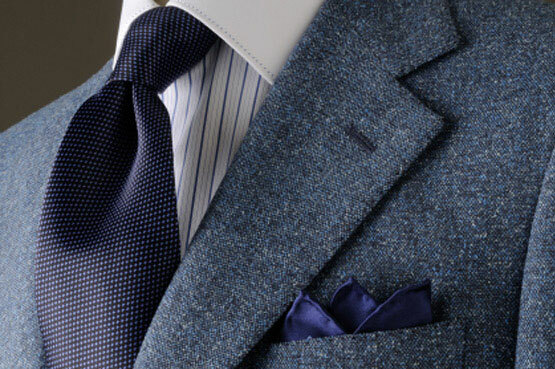 Some accessories such as a tie or a bow can also be worn over a Dress Shirt which can be accompanied by a vest or a jacket. A Dress Shirt is ironed to remove any wrinkle and can be treated with starch for stiffness and smoothness. The hem is tucked into the trousers or jeans. The top button is needed to be tucked if a tie is worn. The Ready To Wear size of dress shirts comes up with many sizes according to the size of an average human and the sleeves and the cuffs varies accordingly. However in the Bespoke industry, each shirt is made from an individually drafted pattern and hence the sizing problems are avoided. A higher degree of customization and fit is there in this category but usually the cost is much higher as compared to Ready To Wear or Made To Measure ones.